DALLAS, Ga -- Investigators in Paulding County have run out of leads in a cold-blooded murder case. 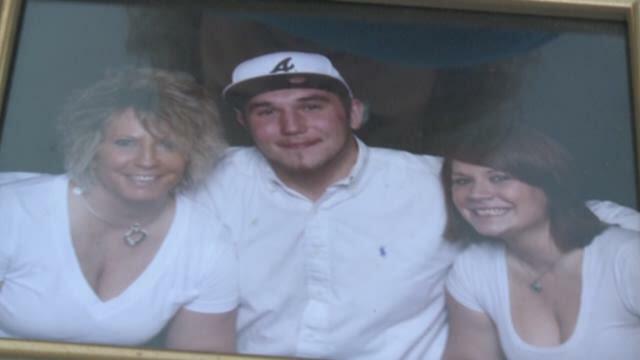 Cody Bryant was shot and killed in his bed last February and his mother is crying for help to find his killer. t have picked a worse time for his mother and for investigators. Beverly Collum told 11 Alive News from her home in Cartersville. It's not normal and as a mother it's not fair to have to bury my son at 20.
s home and the killer broke into the home while he was sleeping. said Paulding County Sheriff Corporal Ashley Henson. He said it looked like someone came to that house to kill Cody Bryant. There was no indication of robbery or any other crime. Collum said she has trouble keeping her thoughts together while talking about her son and read from a letter she wrote about him. s killer is still out there. She has a message for that person. Paulding County Sheriff investigators are asking anyone with any type of information to call Crime Stoppers at 404-577-TIPS (8477). There is a $2,000 reward.